This level has medium difficulty. 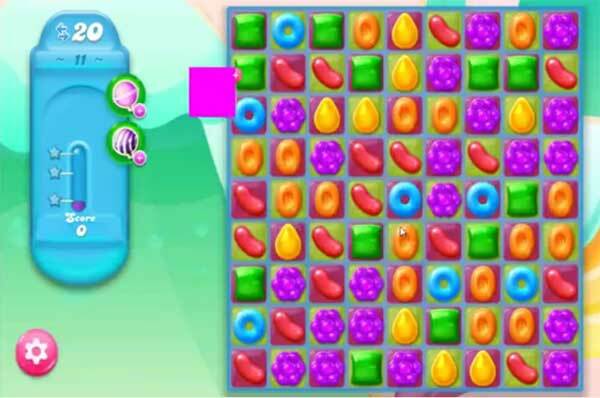 For this level try to play near to jelly or play more from the bottom to shuffle the candies as it will help to spread jellies automatically. As you get the chance then make special candy. Combine special candies with each other to break more candies to spread more jelly than the queen at the end. I dont get it either. Is there an ecplanation anywhere else? The walkthrough doesn’t show the Queen’s turns. I don’t get this level at all. Please could we have an explanation of how the game actually works? Every time I make a move the Queen then has a turn and mucks everything up!